We are the design group, Swedish Creatures and we strive to make the design world a meaningful place of color and style! With a passion for surface pattern design, illustration and entrepreneurship six Swedish female creators were brought together in an online forum for Scandinavian designers and makers. Although sprung from different generations, schoolings and styles we all possess the same energy, high quality design sense and passion for entrepreneurship. We quickly realized we should join forces to nurture new ideas, to inspire and learn from one another, and to grow both as creators and business owners together. The group’s name, Swedish Creatures, reflects us as six unique individuals. It tributes the beautiful mystery of everyone’s creativity, the diversity of our artwork and the various ways we approach the design process. We also share a genuine interest in Swedish and Scandinavian design and our cultural heritage – within it lies many tales of creatures in its folklore. Our first collection ”Creatures” centers around Swedish and Scandinavian flora, fauna, folklore, folks and fashion – with a common tonality these elements are allowed to sprout and blossom uniquely in our artworks, cultivated into new forms with an up-to-date and witty twist. 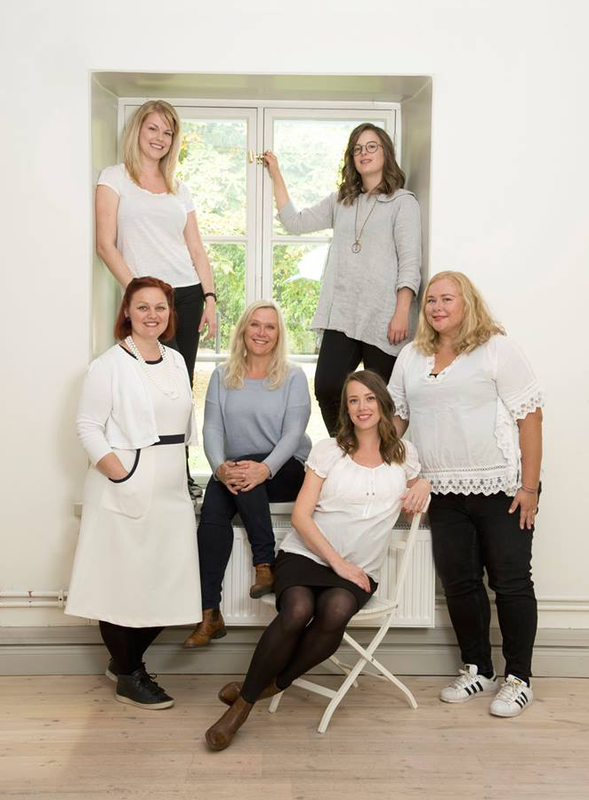 Swedish Creatures was established in Autumn 2016 and has already presented their work at 4 major international surface pattern trade shows and has gained representation by two international licensing agents. We are also proud to say we will be exhibiting for the second time under Nerida Hansen’s Trend House concept at the international surface design tradeshow Surtex in New York City, May 20-22, 2018. Follow our design journey with loads of behind-the-scene-goodies on Instagram and Facebook.